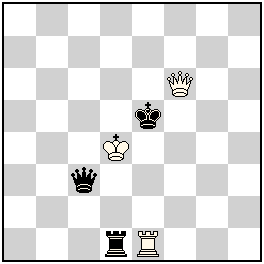 Patrol Chess: A piece can capture or give check only if it is observed by a piece of its own side. Anti-Circe: After a capture the capturing piece (Ks included) must immediately be removed to its game array square (necessarily vacant, else the capture is illegal). R, B & S go to the square of the same colour as the capture; Ps stay on the file of capture. 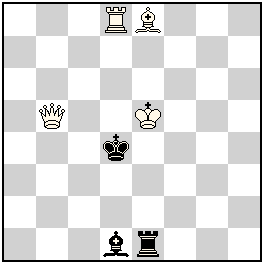 Sentinels Pion Advers: When a piece (not a Pawn) moves, a Pawn of the colour of the opposite side appears on the vacated square if it is not on the first or the last rank, and if there are less than 8 Pawns of that colour on the board.